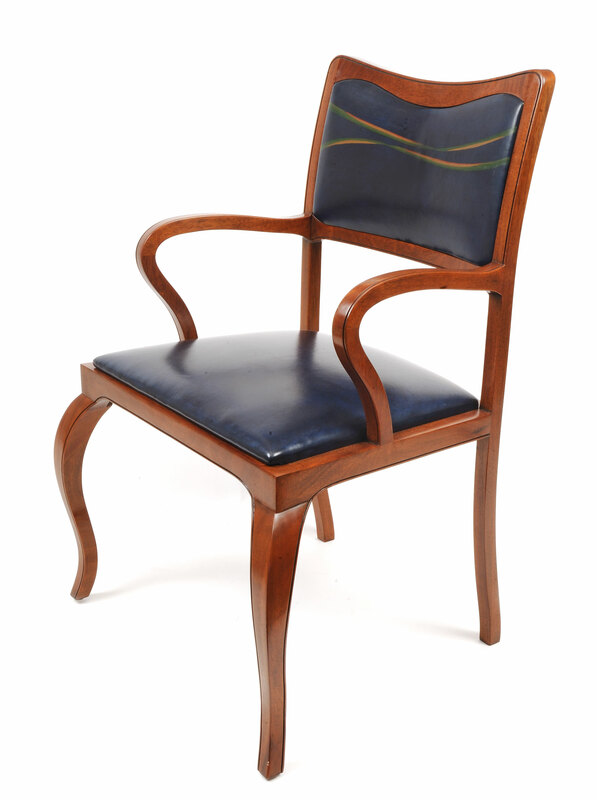 John’s Collection is a sleek, and elegant, contemporary design defined by the cabriole leg and simple detailing. 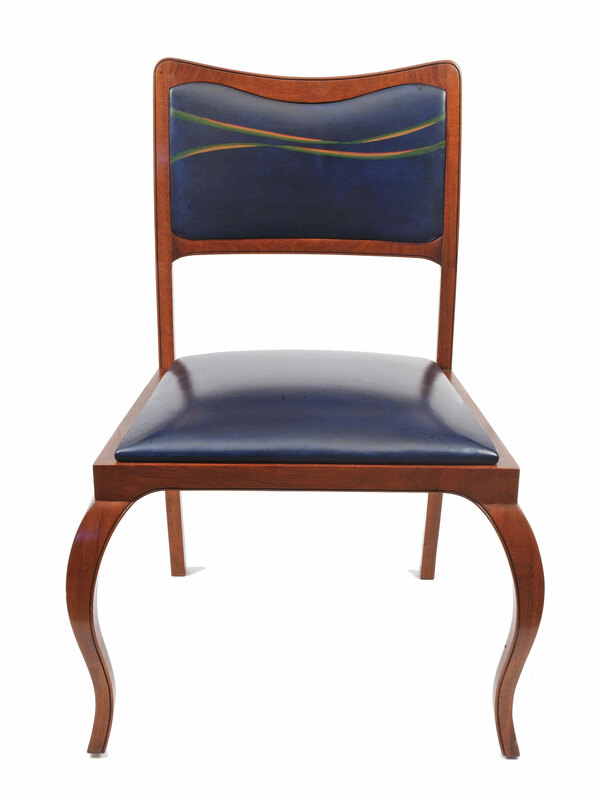 The line sits beautifully within eclectic settings based on the fabric and finish of the chair. The arm and side chairs provide comfortable support for dining table or desk seating, and are equally suited for occasional seating within a living room or bedroom. Introducing the Signature element of hand painted art work on custom dyed leather raises the design to a new and unique level. A Signature motif is designed exclusively for a client. The sophisticated art work integrates the furniture into the space via the details. Please inquire about John’s Tables that are available in squares, rectangles, and rounds. The cabriole legs and apron house a flush table top to make the coffee, side, sofa and entry tables more contemporary. 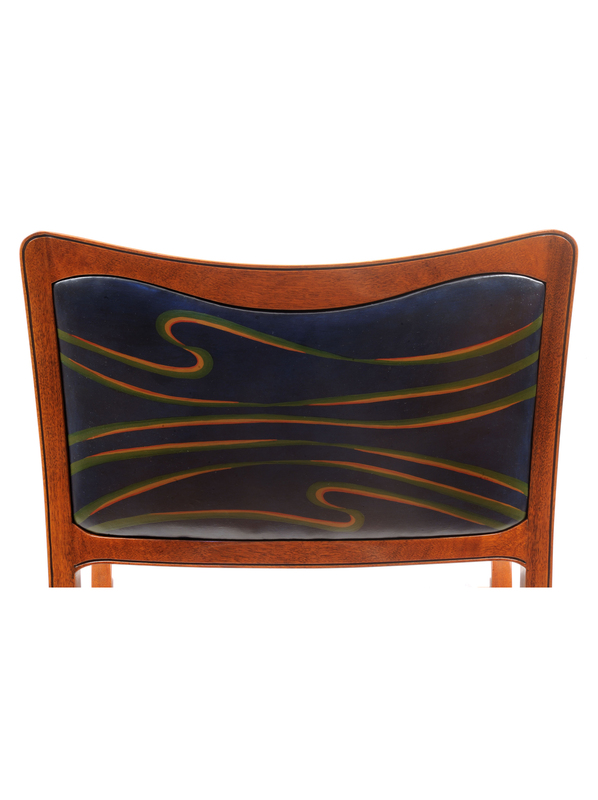 The tops can be created in veneer, custom leather, marquetry, or other custom options. See the specifications for more information. 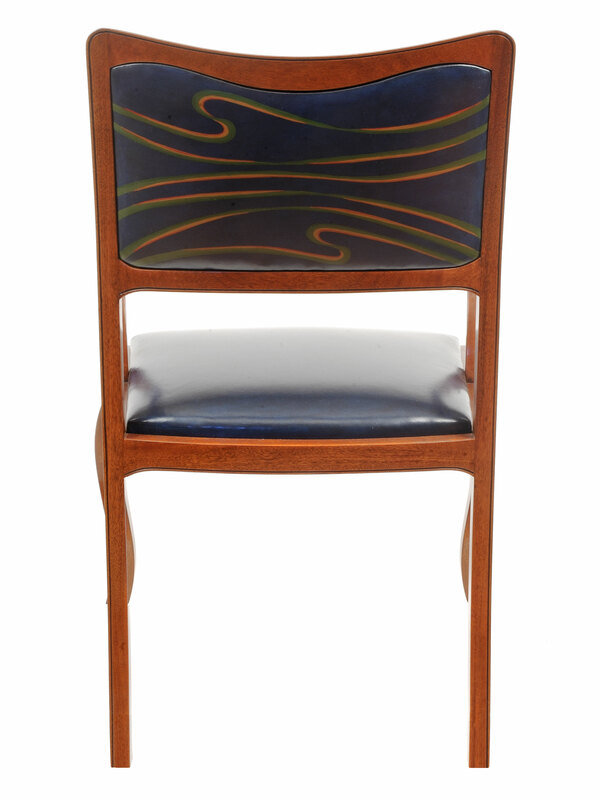 John’s Arm and Side Chairs shown with detail of hand painted leather.